In the run up to the Fire Congress on Terrorism Dr Dave Sloggett asks is the recent pattern of attacks a portend of things to come? Barely a day passes without some reference to terrorism in the media. Over the past few weeks events in London, St Petersburg and Stockholm have given a sense of an increasing threat. Geographically, it would seem violent extremism is able to reach across many countries. The latest figures for terrorist attacks around the world bear out this viewpoint. In March over 2,000 attacks occurred across the world. The upwards trend that has been clear since 2009 is steadily being maintained. New countries, such as India and Bangladesh, are now in the cross-hairs of the so-called Islamic State (IS). In Europe over the last two years we have seen a step-change in terror attacks. Their tactics have ranged from the use of a knife to kill a priest in France to the deadly use of a truck in Nice to mow down people attending a Bastille Day celebration fireworks party. In Stockholm, we saw another increment in the tactics being used. The terrorist had built a bomb that he had carried into the driver’s cab. That it did not detonate ensured that some people who would have been killed are lucky to be alive today. This does suggest that we are experiencing a tempo change in the rate of terror attacks. It is hardly surprising. As the west puts IS under pressure and it is forced to issue a rallying cry to its supporters across the world threatening to bury America and its allies in what it called “a quagmire of death” it was inevitable Europe specifically would suffer a backlash. The signature of that is clear in the recent attacks. As to whether this is the prelude to an even greater effort by IS to ramp up attacks in the west the omens are not good. With over two thousand Europeans returning home from fighting in Iraq and Syria it is clear some of them will wish to continue the fight on European soil. The days ahead will be overshadowed by the headlines of continuing acts of terror across the continent. 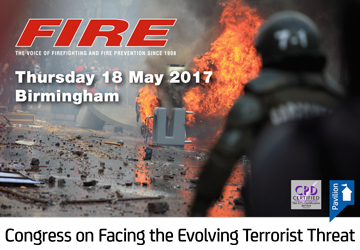 This makes the timing of this year’s Fire Congress on Facing Terrorist Threats in Birmingham, hosted by the West Midlands Fire and Rescue Service, timely. It comes at a time when the threat of terrorism on the streets of the United Kingdom has re-emerged. The intelligence and security services who have brilliantly prevented so many attacks over the past few years have seen a lone wolf attack the Houses of Parliament. 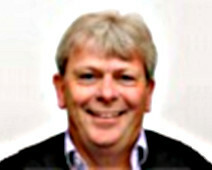 It was as even the head of MI5 Andrew Parker is on record as having said “only a matter of time” before something happens. Given the potential for a change in the rate of attacks it is vital that, as never before, the emergency services are ready for what may unfold. The days when terrorists signalled their intentions to ensure economic impact and not casualty counts made the headlines are gone. Today’s terrorists seek to attack and maim at will. Their targets covering, inter alia locations from highways, to shopping malls, football stadiums and iconic tourist sites. For those preparing for what may come next attendance at the Fire Congress will give them contemporary insights into the emerging strategy of terrorism and its target focus as well as the new tactics designed to maximise the number of casualties. The insights gained from the presentations and the exercise where a generic terrorist attack will occur will be invaluable in helping spread awareness and inculcate a sense of resilience in those that may be in the front line of such an event with all its initial anarchy and opportunity for poor decision making, or worse, no decision-making or command paralysis.